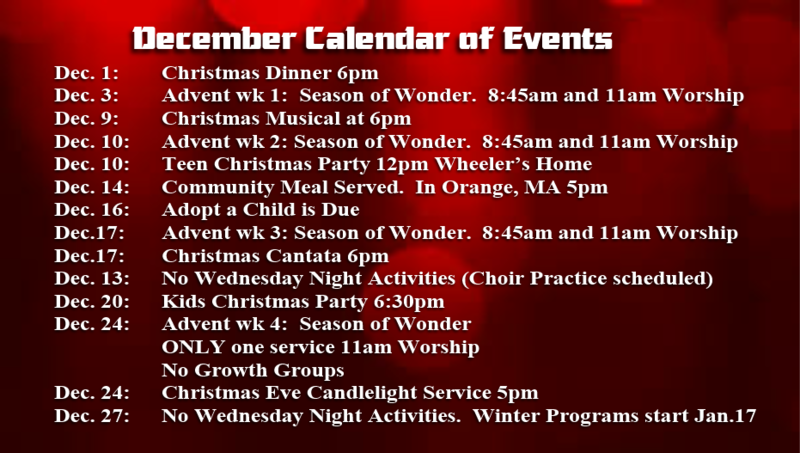 Click here to go to our bulletin you will get the latest announcements and message outline. We look forward to seeing you this Sunday! Click here to go to media page to listen to messages and some of our music. If church or any of our programs are cancelled due to inclement weather, or for any other reason, you will find that information on this page!